Ed Felten (previously) -- copyfighter, Princeton computer scientist, former deputy CTO of the White House -- has published a four-and-a-half-page "primer for policymakers" on cryptography that explains how encryption for filesystems and encryption for messaging works, so they can be less ignorant. It is a remarkable and clear piece of technology writing, perhaps the best example of its type I've ever read. It's clearly the results of explaining the same thing, over and over and over and over again, using trial-and-error to identify the places where the audience gets tripped up, until what remains is a perfectly clear explanation of something that's both difficult to understand and vitally important. they both know they are not communicating with an impostor. keep secret. A party can use its long-term identity key to prove its identity to other parties. 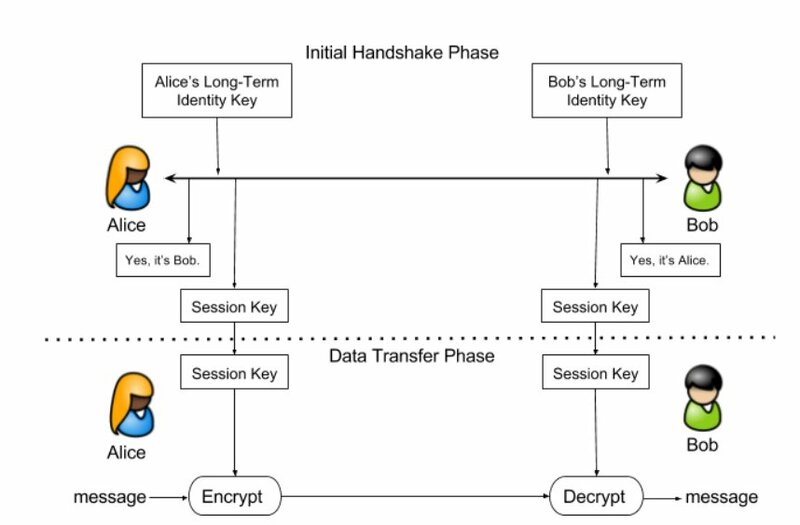 the initial handshake has two results: each party gets confirmation of the other’s identity (i.e. procedure gets these results are complex but not directly relevant to the policy discussion.